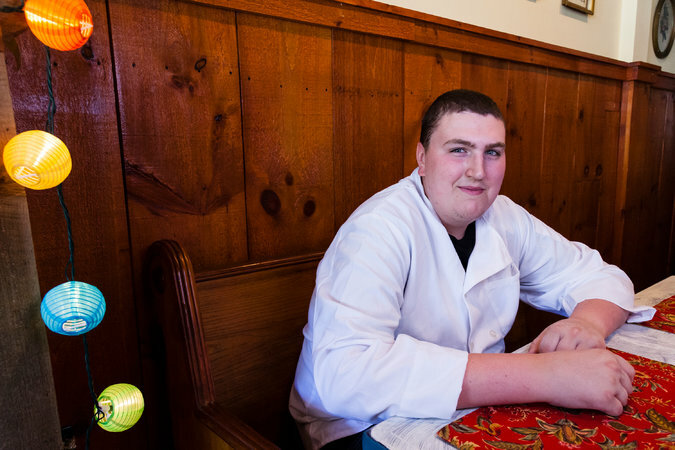 FORT SALONGA, N.Y. — Cody Stillwagon dreamed of cooking, but he was stuck washing dishes. Last month, however, Mr. Stillwagon, 19, of East Northport, N.Y., was slicing vegetables and fruits in a professional kitchen. Mr. Stillwagon has autism, which in past jobs kept him at the sink. 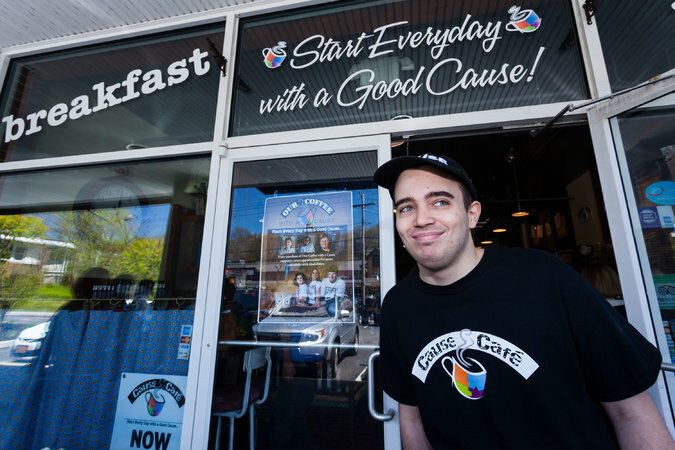 Now, he works at Cause Cafe, a business on the North Shore of Long Island created to provide jobs and training for adults with cognitive disabilities. Stacey Wohl, whose daughter and son have autism, started employing people with disabilities through her wholesale coffee line, Our Coffee with a Cause. But when sales slowed, she and her mother, Susan Schultz, decided to open the brick-and-mortar Cause Cafe here. Anna Trent is the director of vocational services at Life’s WORC, a nonprofit organization that helps people with developmental disabilities in Queens, Nassau and Suffolk Counties find employment. “People have certain images about people with disabilities, and unless they’re exposed to it, they’re not able to open their minds to the abilities versus the disabilities,” she said. 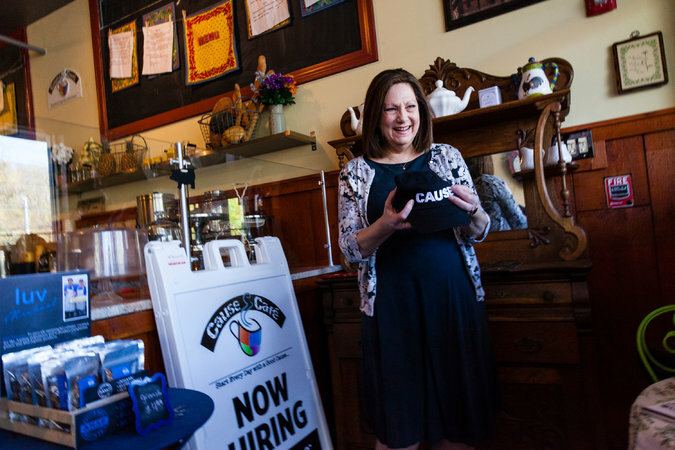 At Cause Cafe, which recently opened, about half of the 15 staff members have disabilities. Some choose to work only in the kitchen — to start, at least — while others take orders and serve customers. The cafe is open from 8 a.m. to 3 p.m. Tuesdays through Sundays. The menu includes French-inspired pastries and wraps — like the Marseilles, with lemon-herb hummus, avocado, cucumber and tomato — and offers gluten-free and dairy-free options. On Mondays, the staff works with Cheryl Mendelsohn, a psychologist from Northport and the director of training for the cafe, on skills such as managing time, setting goals and interacting with others. Dr. Mendelsohn and Janet London, a speech pathologist from Northport, create step-by-step breakdowns of the tasks that need to be done. Dr. Mendelsohn also has a to-do list for employees to use during lulls. Many people with autism do well with hands-on, repetitive tasks, Ms. London said. But make no mistake: Cause Cafe is a business. Jobs are earned, standards are set. “We are hoping to show the world that these young adults can work and get paid and be productive,” Ms. Wohl said. In fact, a year ago in Schenectady, N.Y, Sara Mae Hickey opened Puzzles Bakery & Café, which also provides job opportunities for adults with disabilities. Puzzles employs about 20 people, and 10 interns. About half of them have special needs. The waiting list for employment is 600 applicants long. In Fort Salonga, when Mr. Stillwater’s parents asked about a job, Ms. Wohl had no openings. His parents said he would volunteer, as some of the workers do, to gain experience and build a resume. But Ms. Wohl was so impressed once she saw him working that she offered him a paid position. Claudia Muller’s son, William, 23, of Northport, has autism and went on many unsuccessful interviews before landing a job at Cause Cafe. Matt Hendrickson, 36, of Northport, who has worked at a print shop and as a custodian at a church, said he felt pressured in past work environments.